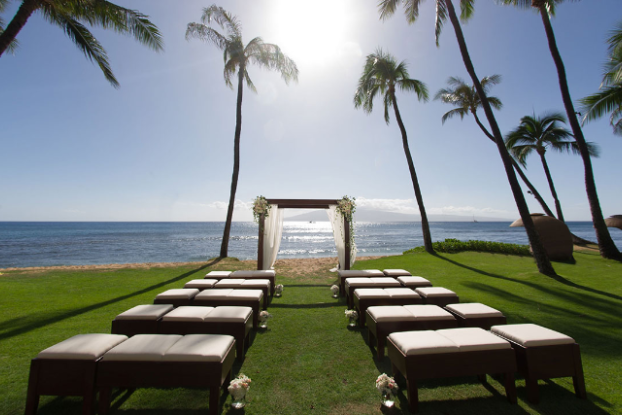 You will feel as if you have found paradise at the Hyatt Regency Maui Resort and Spa, a perfect place for a destination wedding, featuring everything from waterslides and Asian gardens, to stunning Kaanapali Beach, all along 40 lush private acres. 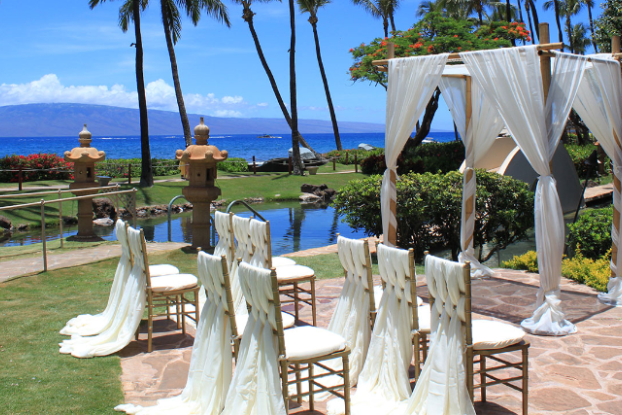 Your wedding ceremony just might feature the local wildlife as surprise guests, and beyond the ceremony, you’ll have plenty of time to enjoy the lavish pools or enjoy Maui’s only ocean-front spa. The spectacular spa features stunning views and modern decor, and is a Marilyn Monroe brand spa. 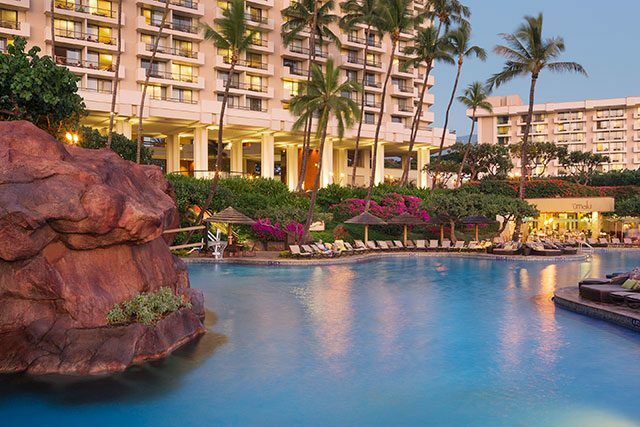 For a unique group activity hit up a luau, or maybe attend a lei-making class or hula demonstration. The water activities are exceptional here, from a lava tube waterslide to a grotto bar for adults. The entry-level ceremony welcomes up to 4 guests counting the couple. 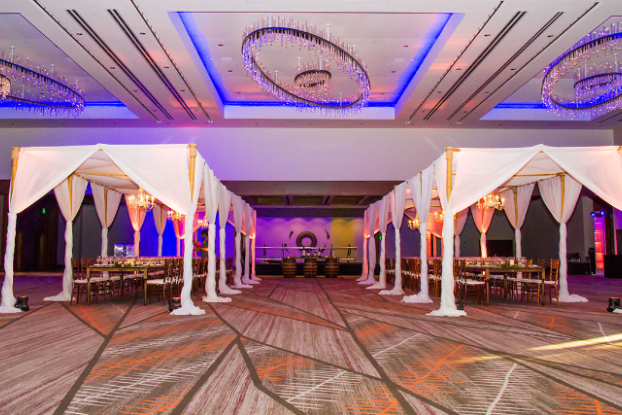 Alacarte and Indian weddings are available. 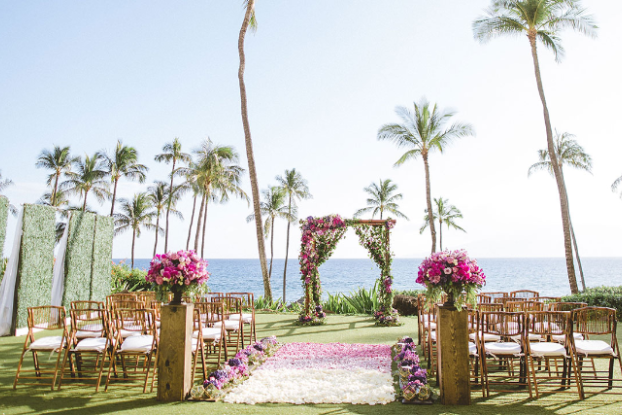 It is important to note that our wedding packages in Hawaii do not include the cost of a reception, other venues, food, or drinks within the package pricing. Inquiries for these additional services must be made separately. Upgraded packages, additional guests, and add-ons are available for an additional cost. 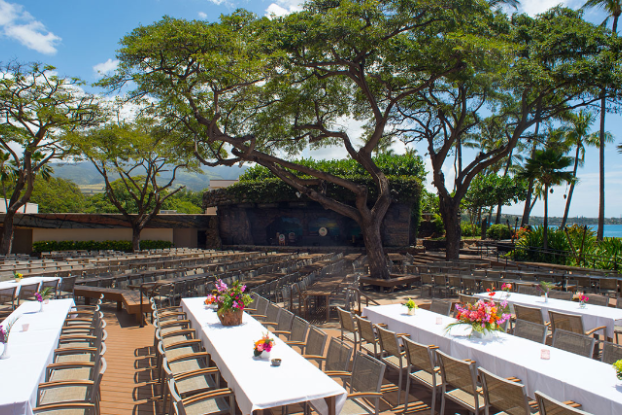 Ballrooms – 1000 guests max, Halona Kai Terrace – 500 guests max, Napili Pool Lawn – 70 guests max, Makai Lawn – 70 guests max, Oriental Gardens – 20 guests max, Ka Hale Aloha Gazebo – 4 guests max. 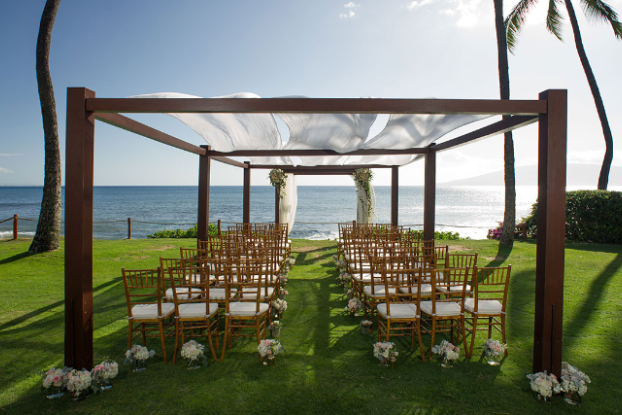 Hyatt Regency Maui can host up to 4 weddings per day. $380 – $450 average price per night for 2 adult occupancy. Rooms include free wifi, mini fridge and balconies or terrace. There are 806 rooms with garden or ocean views. The resort is able to accommodate mobility-impaired guests. The resort is located 4 miles from the OGG airport.